As the agency itself announced in December, the appropriations lapse forced it to operate with about 9,946 (12.5 percent) of its 80,000 employees. That meant longer wait times at call centers, shuttered walk-in assistance centers, cancelled audit appointments with tax specialists or identity theft counselors, no processing of applications for tax-exempt status, reduced mail correspondence, no certifications of passport eligibility, and the complete closure, as of Dec. 28, of the Tax Court. 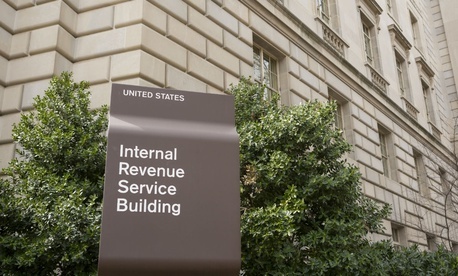 The situation got more complicated in January, when the tax agency was directed by the White House and Treasury Department to call back some furloughed employees to assure preparations for the 2019 filing season. Political pressure rose to get tax refunds out on time and continued in February as the first refunds under the still-being-implemented 2017 Tax Cuts and Jobs Act caused anxiety among taxpayers and Trump administration officials who promised the bill would lower most people’s taxes. Specifically, just before the shutdown, the agency had sent 527,957 statutory letters of tax deficiency. But during the 35-day shutdown, it sent out just 9,267. Similarly, notices to taxpayers of the need to provide further information after a submitted return had been examined dropped from 18,492 to just 78. “At key points in the return processing pipeline, inventories were up over 100 percent over the same time in 2018,” the report said. As of Jan. 24, staff counted more than 5 million pieces of mail that had not been batched for processing; 80,000 responses to 2018 Earned Income Tax Credit audits that had not been addressed; and 87,000 amended returns waiting to be processed. The National Distribution Center, which has a contract to mail out standard forms, fell behind by 170,000 orders, the report said. Despite employees working overtime to process about 11,000 orders a day, the IRS announced that orders for Forms W-2 and W-3 were backlogged and would not be finished shipping out until mid-February. Phone service became, in some categories, “abysmal,” the report said. For the week ending Jan. 26, 2019, the level of satisfactory service on the Accounts Management phone lines was only 36.8 percent, and the average speed of answer grew to 32 minutes. As solutions (on top of her long-standing recommendations issued as 50 proposals in her accompanying “purple book,”) Olson recommended multi-year funding for modernization of the tax agency’s aging information technology systems. Olson cited statutes to take exception to the reasoning used by the IRS chief counsel’s office in its opinion allowing the callbacks of furloughed staff for “protecting property,” but which had not included her own office. The counsel had said the taxpayer advocate acts “derivatively” during a shutdown, despite it having been excepted in previous shutdown plans, she noted. Olson recommended that her office during future appropriations lapses be authorized as “excepted” to aid taxpayers.